As a native of the California Bay Area, I have had the opportunity to live, study and work in several places. I was born in Walnut Creek November 5, 1968 and grew up in Pleasanton, California where my parents still reside. During my high school and early college years, I had the opportunity to travel the United States and Canada as a professional bicycle racer. I practiced diligently and was ranked nationally in the top 10 of all professionals. Throughout my time with this demanding sport, I incurred several aches, pains and injuries. Yet with my persistence passion for the sport, I sought out alternative therapies that would rehabilitate, maintain, and improve my health. This is when I first went to a chiropractor. It was an enlightening experience not only for my physical health but also for the start of my academic interest as a Chiropractor. At my first visit with the Chiropractor, I was experiencing tingling, and numbness in both of my arms and hands. With the spinal adjustments that I received, I found relief and also learned the cause of my symptoms, dis-ease and how natural chiropractic care could help correct the cause of my symptoms, with the only side effect being in better HEALTH. It is my sincere hope that I could return the favor of health and understanding to others. In my educational career, I majored in Biology/Pre-Med at California State University of Sacramento. During that time I obtained credentials as an Emergency Medical Technician and interned at a Chiropractic Office. It was great opportunity to interact with the doctor, staff and patients. I obtained my formal education in chiropractic at Palmer Chiropractic College in Santa Clara, California and graduated in 1996. 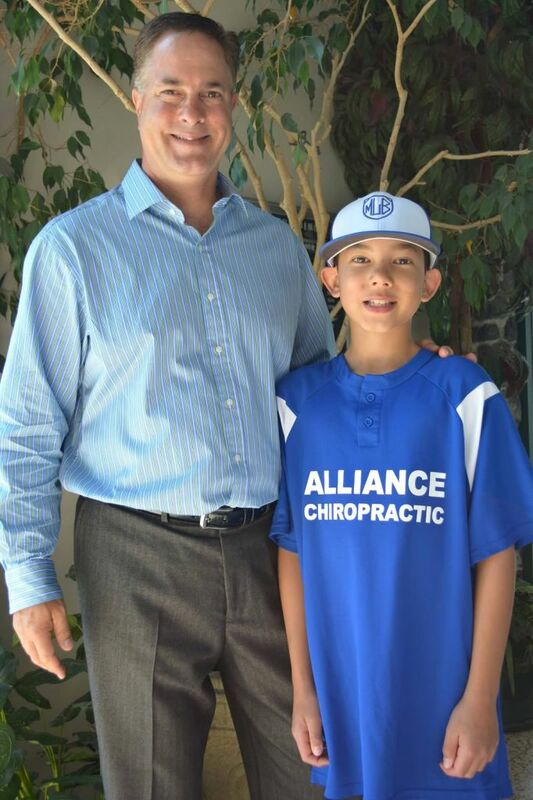 During that time I participated in the community clinic and interned with several of the most successful Chiropractors in the Bay Area to further develop my clinical techniques. After graduating with my doctorate degree, I have continually sought out opportunities to learn more so that I could in turn share more information with my patients. I have attained post-graduate credentials as a Certified Chiropractic Sports Physician (C.C.S.P.) and as a Certified Chiropractor in Spinal Trauma (C.C.S.T.). I have also received a licensure from the Department of Health Services of California as an X-ray supervisor and operator.